We live in a time of disruptive change. Why do you try to deal with the challenges of our time so often fail? Why are we stuck in so many personal and collective dilemmas? It is possible to shift to a more generous way of seeing and acting in the world! Somehow, almost everyone senses that the way we run today no longer works for us. Leaders are all-powerful, but many are still tired of the rat race and the constant pressure. Customers trust in business is at an all-time low. Students and teachers are demotivated due to our cold and mechanical educational approach. And more fundamental than all this is the harm we do to our planet. It is time for deep transformation in the way we operate, both personally and collectively. ‍To activate our capacity for the future of the future. In order to move from being an outdated, bureaucratic and competitive, to a more evolutionary, conscious and collaborative way of operating, we must embark on a journey. 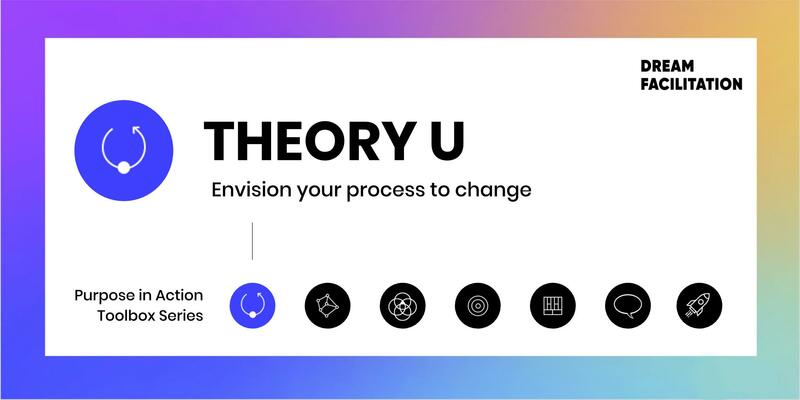 At this workshop we want to introduce you to the theory U process of leading profound change. 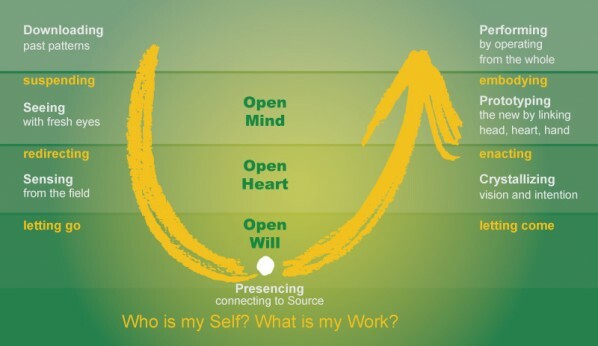 This methodology is based on the concept of " presencing " - a blend of the words "presence" and "sensing". Using a combination of self-reflection exercises, theory and bodywork, we want to help you to get a clearer understanding of your current situation. The development of such understanding will allow you to connect to your vision and intentions in order to create a future of greater possibility. An overview of the process to implement profound and sustainable change. The most important leadership skill: self-awareness. Exercises and methodologies to integrate head, heart and hands. Connect to with your inner strength and with the aspects of greatest importance to the situation you are dealing with. Clarity about where you are standing, what are your challenges and where you want to go. Feel supported and inspired by a group of like-minded individuals. Luiza Arcuschin, Founder at Dream Facilitation . Luiza empowers individuals and organizations to make their way into action through hands-on consulting and group workshops. She has a BSc in Business Administration, specializing in Entrepreneurship and Sustainability. She holds an MBA in Management and Technology. Karoline Pfeiffer, somatic bodyworker & creative amplifier. After spending over fifteen years pursuing a career in the cultural and creative sector, Karoline decided to turn her life upside down and became a practitioner of the Pantarei Approach. Next to enriching her experience in different body and movement practices, she research for new impulses for the future working world, especially on the subject of „Health and Humanity in the Digital Age“. In order to make this workshop accessible to all, we would like to give you the freedom of consciously choosing how much you would like to contribute. As we only have 15 places available, we kindly ask you to register with a € 15 commitment fee, and after the workshop we will give you the opportunity to make a voluntary contribution. This is a practice to strengthen the sense of interdependence.